Stylish Redhead Girl Using A Phone While Leaning On The Illuminated Signboard In The Night On The Street. Lizenzfreie Fotos, Bilder Und Stock Fotografie. Image 112991981. 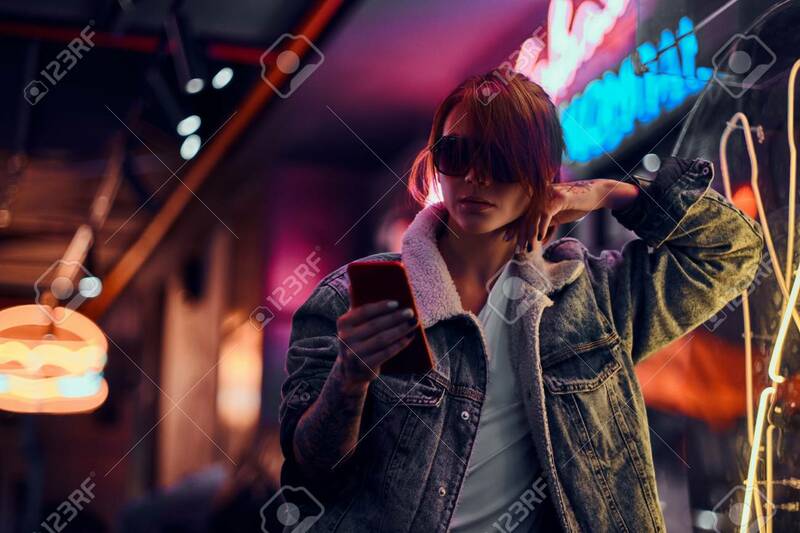 Standard-Bild - Stylish redhead girl using a phone while leaning on the illuminated signboard in the night on the street. Stylish redhead girl using a phone while leaning on the illuminated signboard in the night on the street.